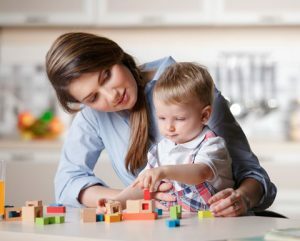 The rate at which children learn during the first three years is remarkable; they will learn more in these first three years than at any other point in their lives.1 Cognitive development in young children refers to their process of learning and the development of intelligence and other mental capabilities, such as memory, reasoning, problem solving, and thinking. Executive function in the first three years of life refers to the emerging ability to organize and manage conscious thoughts, actions, and emotions.5 Executive function is a process that both involves and impacts regulatory capacities and cognitive function in young children. Executive function helps children build attention, manage their impulses, think logically, reason, and problem-solve. The development of executive function in children is fostered by nurturing relationships and meaningful interactions with responsive caregivers. The Strategies for Interactions throughout the Guidelines provide examples of enriching experiences that promote the development of executive function. 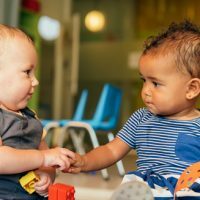 As with every aspect of development, cognitive development occurs within the context of positive and nurturing relationships. Play is also a vital tool in cognitive development. Play is used to problem-solve and is the manner in which children learn about their world and build the confidence to master new skills. Cognitive development is observed through specific behaviors. In early infancy, children have limited capability to outwardly express mental understanding. This does not mean that they are not learning, or that they are not able to gather and process sensory information that they are receiving. Children use all of their senses to take in information and begin to form simple concepts. During the first six weeks of life, children use reflexes to learn about and impact their environment. Eventually, these involuntary skills start to become voluntary. For example, by four months, children’s grasping reflex transitions to intentional grasping. After four months of age, children become more object-oriented, and use intentional movements such as reaching, grasping, and mouthing to explore and learn about objects in their environment.2 After eight months of age, children explore simple goal-oriented behavior, imitate simple actions of others, and start to develop logic in order to plan and meet simple objectives.3 For example, children will repeat certain actions, such as banging the table, or pushing objects off a high chair. An important cognitive shift that develops around eight months is the understanding that objects and people exist even when they are out of sight, or not heard. This is known as object permanence and provides children with understanding that objects have a separate and permanent existence.4 Object permanence is necessary for children to develop symbolic thought, which begins at approximately 18 to 24 months of age. Children also use mobility to expand their exploration of their environment. 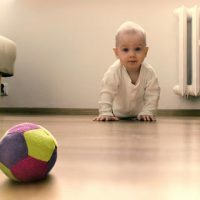 During the second year of life, children begin to retrieve hidden objects, recognize patterns, fill and empty containers, and have a basic understanding of shapes. 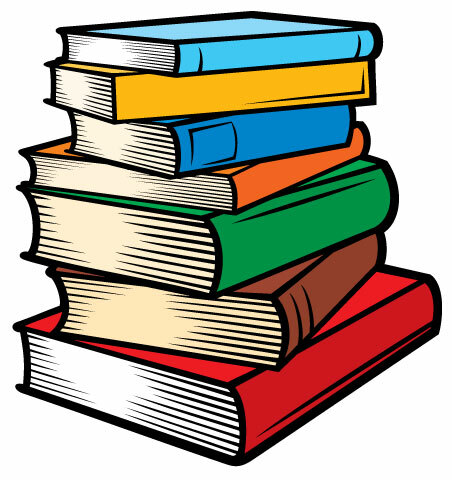 All of these achievements are examples of skill development in the following cognitive areas: logic and reason, memory, spatial relationships, quantity and numbers, and science concepts and exploration. Part of cognitive development includes children’s use of creative expression. They use art, music, movement, and play to discover and master new skills. Caregivers can provide opportunities for creative expression through exposure to singing, dancing, drawing, and pretend play. Children also have increasing capacity to understand basic concepts regarding safety and well-being. While children are growing in their mental capacities, they still rely on their caregivers to structure safe and learning-rich environments. Caregivers should provide consistent and predictable daily routines in order to best support children in their exploration and play. Bjorklund, D. F. (2000). Children’s Thinking: Developmental Function and Individual Differences. Belmont, CA: Wadsworth. Center on the Developing Child at Harvard University (2011). Building the Brain’s “Air Traffic Control” System: How Early Experiences Shape the Development of Executive Function.